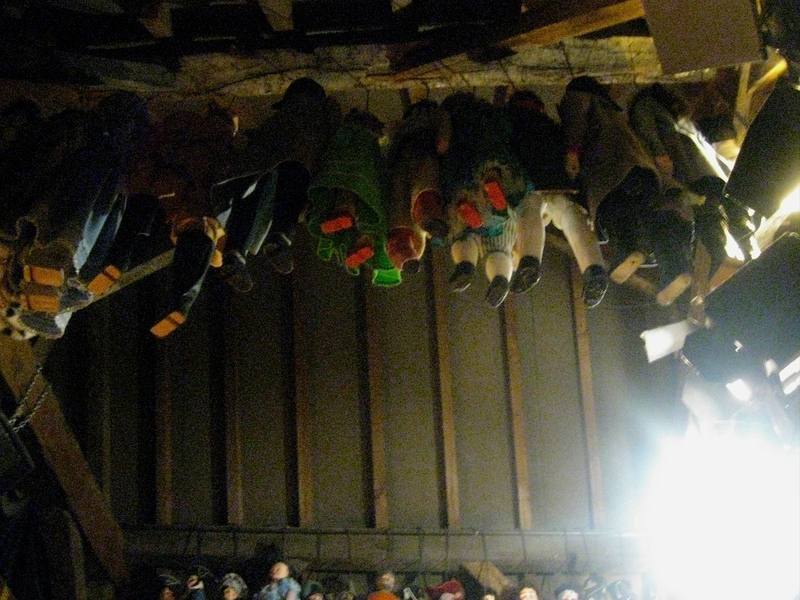 Looking up at the hanging puppets at the Toone Marionette Theatre in Brussels. I recently edited together the lecture with slides which I gave while traveling through Europe in 2012 interviewing puppet people. The lecture was entitled Puppetry As Antidote Art. It was given to the students at the L’Abri Fellowship in Huémoz Switzerland. This lecture is an in depth introduction to serious puppetry focusing mostly on Europe. It is both a general survey of puppet history and styles in Europe and it is also gives an account of my personal journey into puppetry. The discoveries described in the lecture under-gird the structure of Gravity From Above.